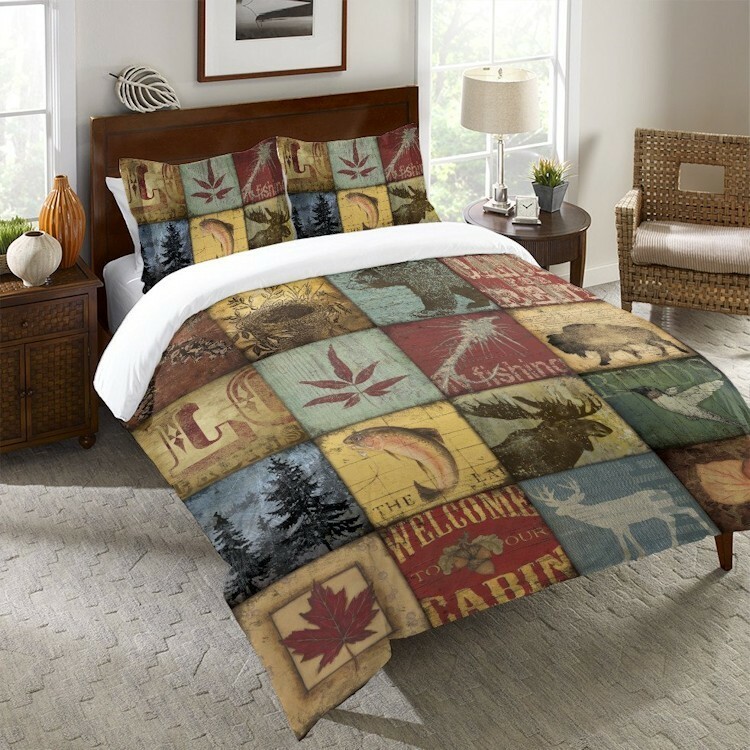 Invite the great outdoors into your home with these rustic and colorful, Lodge Patch Duvet Covers. 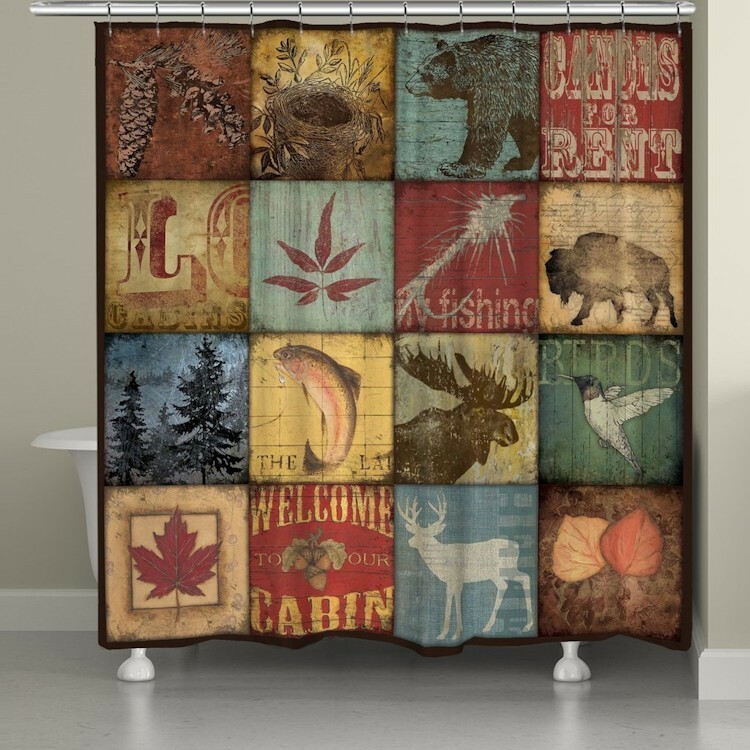 Perfect for any lake, lodge, or countryside home!. 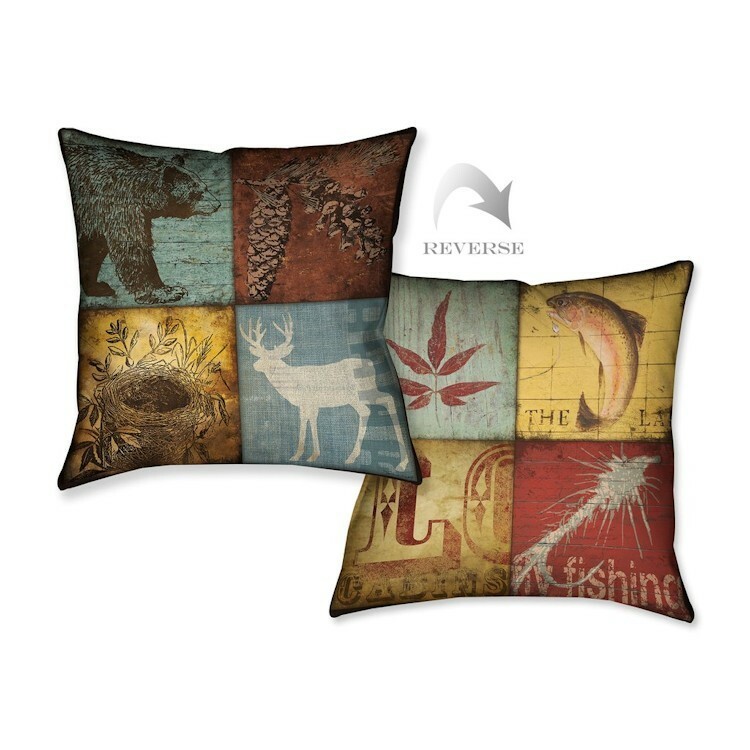 The digitally printed design has crisp, vibrant colors and images that reverses to a solid cream back.